The experiment was carried out at Adaptive Research Farm Bhaun Chakwal during Kharif 2014, 2015 and 2016 successive seasons to evaluate the most appropriate method of weed control in groundnut. Three weed control measures were evaluated i.e. pre emergence application of Ipiflour (trifluralin), Stomp (pendimethaline) and hoeing. A weedy check (Control) was also included in the experiment for comparison purpose. The results showed that both chemicals gave significant better yield than hoeing. Stomp as pre emergence weedicides gave significant yield (710.6 kg/ha) during all tested periods and gave maximum net return of Rs. 17919/- with CBR 5.66 followed by ipiflour with net return of Rs.8773.2/- and CBR 3.77. It is concluded from the experiment that the hand hoeing gave reasonable groundnut yield (680kg/ha) but it was uneconomical due to high labor wages. So it is concluded that weedicides application is most appropriate and economical method of weed control in groundnut. 1. Cobb. W.Y, and Johnson. B. R. Physiochemical properties of peanuts. In: Peanuts Culture and Uses: Am. Peanut Res. and Educ. Assoc. Stillwater, OK.
2. Gnanamurthy. P, and Balasubramaniyan P. Weed management practices and their influence on weed growth and yield of groundnut (Arachis hypogaea). Indian Journal of Agronomy.1998; 43(1): 122–125. 4. Kalaiselvan. P, Ramadas G. R and Vaman B. M. Studies on crop weed competition in groundnut (Arachis hypogaea L.). Madras Agriculture Journal. 1991; 78: 385–388. 6. Murthy. Y. V. N. Studies on weed control efficiency of certain herbicides on groundnut under different phosphorus levels. M.Sc. (Agri) Thesis, Andra Pradesh Agricultural University, Hyderabad.1982. 7. Yadav. S. K, Singh S. P and Bhan V. M. Performance of herbicides for weed control in groundnut (Arachis hypogaea L.). Indian Journal of Weed Science.1983; 15: 58-61. 8. Boswell. T. E, Merkle M. G, and Spears B. R. The effect of concentration and incorporation depth upon performance of substituted aniline herbicides in peanuts. Proceedings. South. Weed Science Society. 1969; 22:150. 9. Steel. R. G, Torrie J. H and Dickey D. A. Principles and Procedures of Statistics: A Biometrical Approach. 3rd Ed. WBC McGraw Hill Company, Inc., USA.1990. 10. Ahmed. Y. M, Mustafa A. S, Reda L. A, Khozimy A. M and Mosleh Y.Y. Efficacy of the selected herbicides in controlling Weeds and their side effects on peanut. 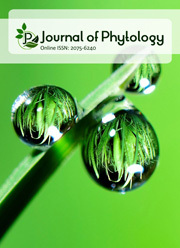 Journal of Plant Protection Research. 2008; 48(3):355-363. 11. Hassan. A. A, Ahmed S. A and El-Bastawesy F. I. Response of groundnut (Arachis hypogaea L.) and associated weeds to some herbicides used alone and in combinations. Egyptian Journal of. Applied Sciences. 1994; 9:409–420. 12. Panwar. R. S, Malik R. K and Bhan Y .M. Chemical weed control in groundnut (Arachis hypogaea L.). Indian Journal of Agronomy. 1988; 33:458–459. 13. Sumathi. V, Chandrika V, Babum A. M and Nagavani A.V. Integrated weed management in rainfed groundnut (Arachis hypogaea). Indian Journal of Agronomy.2000; 45: 700–765. 14. Muzik, J. J. Chemical use for weed control-weed biology and control, Mc. Graw Hill Book Company, New York 1970. 17. Riaz. M. M, Haqqani A. M Rehman H. U, Ozair C. A and Malik B. A. Economic Efficacy of Different Pre and Post Emergence Herbicides to Control Weeds in chickpea (Cicer arietinum) Journal of Biological Sciences.2001; 1(5):372-377. Kausar, S., M. Z. ul Hassan, and M. A. Khan. “Comparison of Different Weed Control Methods in Groundnut (Arachis Hypogaea L.) under Rainfed Conditions”. Journal of Aridland Agriculture, Vol. 5, &nbsp;, pp. 06-08, doi:https://doi.org/10.25081/jaa.2019.v5.4259.